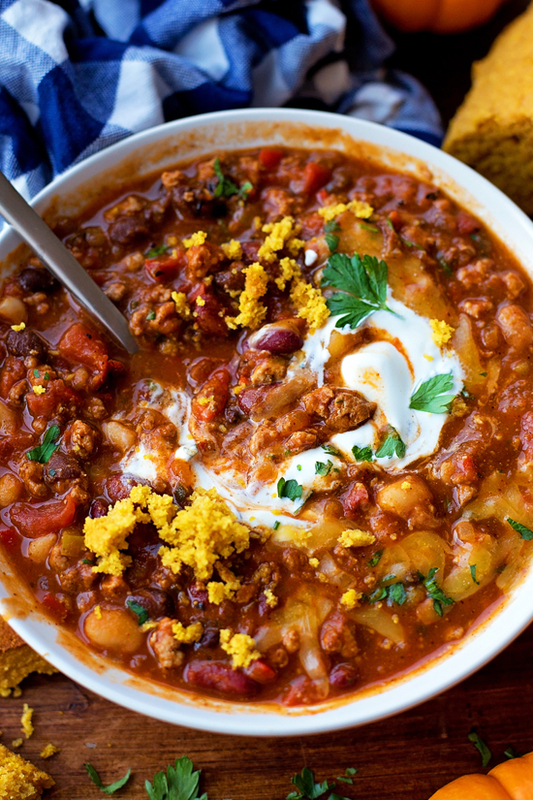 There’s nothing better than a bowl full of chili on a cold day! 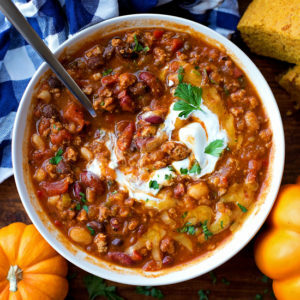 My turkey pumpkin chili is flavorful and loaded with protein & fiber! I’ll admit, making chili is a bit of work, but it’s all in the prep. If I can find a good 20 minute chunk of time, that’s all I need to get this one-pot meal started. The rest is left to the stovetop, it simmers for a good hour, maybe more if you have the time. 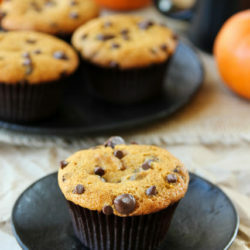 Since it’s fall, and I’ve been baking like crazy, we always seem to have a little bit of pumpkin puree leftover. Our grocery store decided to only carry the large cans of Libby’s pumpkin puree, so it’s been a bit of a struggle to use it all up in one or two recipes. This was a great way to clean out the fridge and make a dish that could last a few days. Perfect to reheat for lunch or dinner! The pumpkin flavor isn’t overwhelming by any means. It does however, add a subtle sweetness to the chili, which I kind of loved. 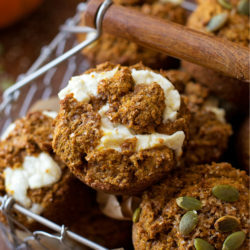 We served ours with pumpkin cornbread (recipe coming soon) and it was a match made in heaven. If you’re not a huge fan of turkey you can always swap it out for extra lean ground beef or ground chicken, whichever you prefer. 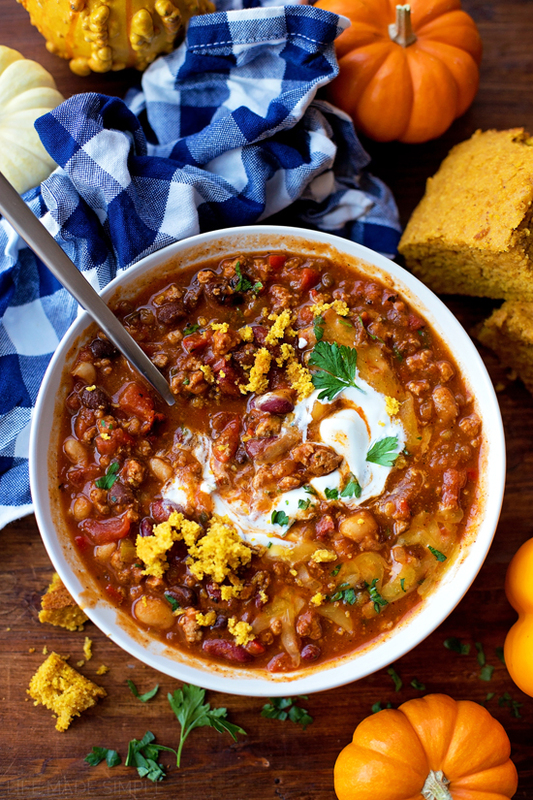 This is a very forgiving recipe, so don’t be afraid to swap out a certain variety of beans for another. 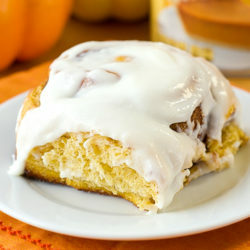 We added a dollop of sour cream and a sprinkle of cheddar cheese on top and mmm was that good! We’ll definitely be making this one again, and again… and again. I hope you will too. Happy fall! ???????? 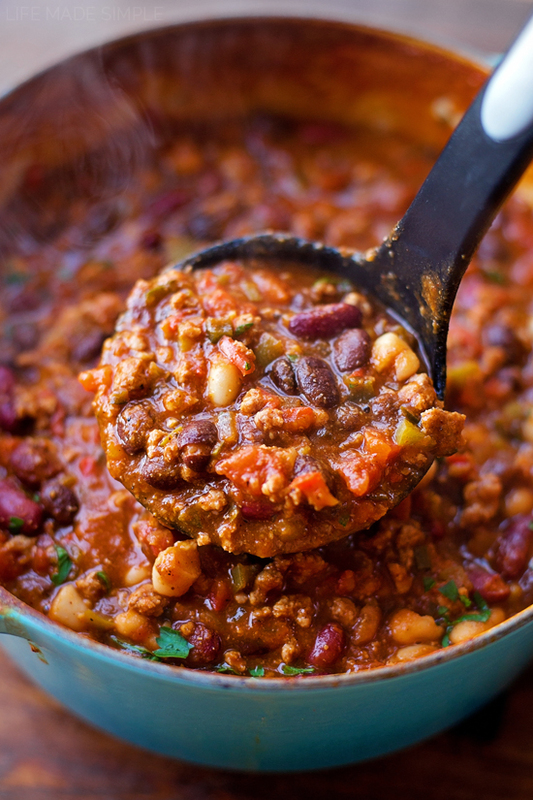 There's nothing better than a bowl full of chili on a cold day! 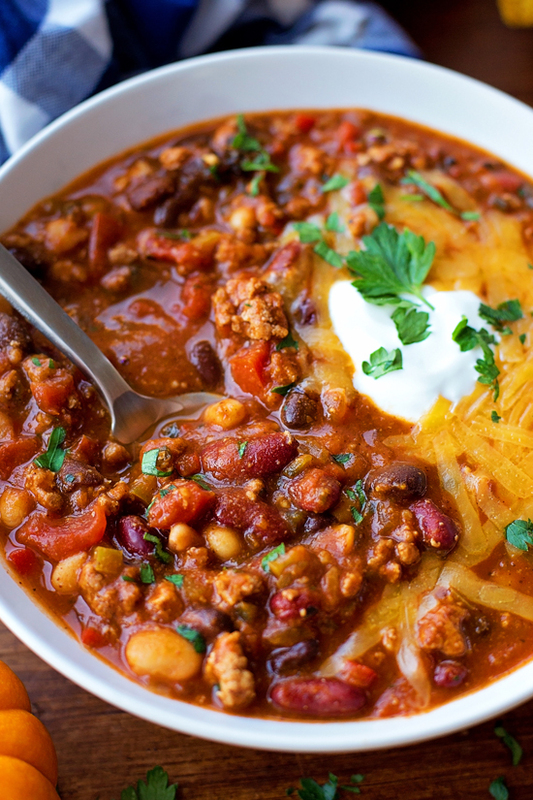 My turkey pumpkin chili is flavorful and loaded with protein & fiber! In a large pot set over medium-high heat, add the olive oil. When the oil is hot, add the peppers and onion. Cook until tender, about 3-4 minutes, then add the garlic and cook until fragrant, about 1 minute. Add the ground turkey and cook for 4-5 minutes, then add the garlic powder, onion powder, chili powder, paprika, cayenne pepper, cumin, coriander, salt, pepper, and oregano. Stir and cook for 2 minutes or until fragrant. Add the pumpkin puree, tomato sauce, tomato paste and diced tomatoes. Cook for 2 minutes, stirring frequently to prevent sauce from burning. Pour in the chicken stock, then add the beans. Bring to a simmer, then reduce heat to medium-low and allow to cook for 1 hour. Remove from heat and serve as-is or with desired toppings. -This has great flavor without being spicy. Try adding 1 diced jalapeño to really heat things up! How do you simmer ground turkey so long without it breaking down too much?? I made this recipe yesterday and it is phenomenal! It’s full of great flavor and I will be making this again. I also made the cheddar biscuits to go with the chilli and they came out perfect. What time frame would you recommend for doing this recipe in a crockpot? Thx for this great recipe! It’s now my favorite chili recipe! We always keep some on hand in the freezer too. Great with tortilla chips and guacamole!